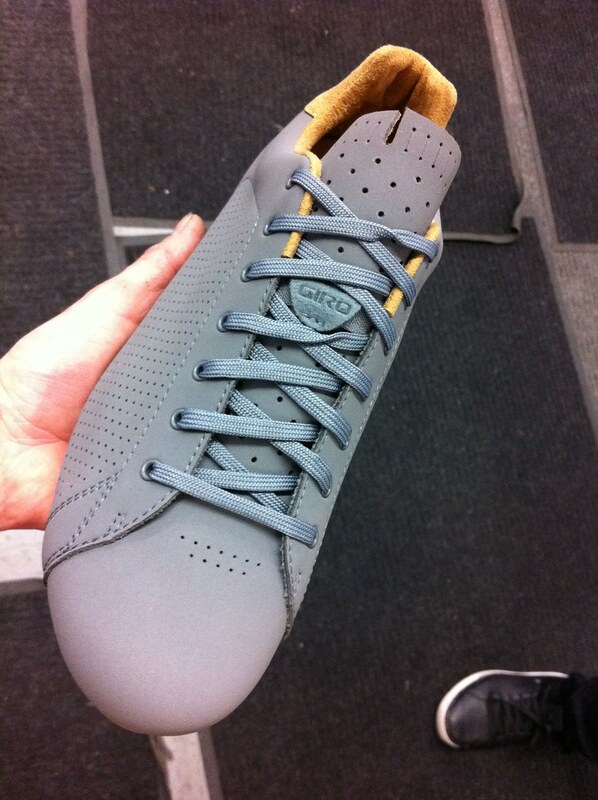 While at Interbike last fall, I got a sneak peak at the Republic shoe months before Giro launched their New Road clothing line, and today the outside sales rep from Easton/Bell brought a sample by the shop. At first I had thought that the Republic was simply a detuned version of the Empire, the minimalist lace-up road shoe developed with rising pro rider Tyler Phinney’s input for all out performance. Instead, the Republic isn’t so much pretending to be a race shoe as much as it compliments the New Road concept: cycling apparel aiming to bring the textures and spirit of an earlier era of cycling without abandoning modern design’s technical edge. The Republic has a perforated microfibre upper, reinforced heel cup, and an SPD-compatible sole that not only has the right amount of flex to be practical for walking, but also has tread lugs that bolt to the sole . 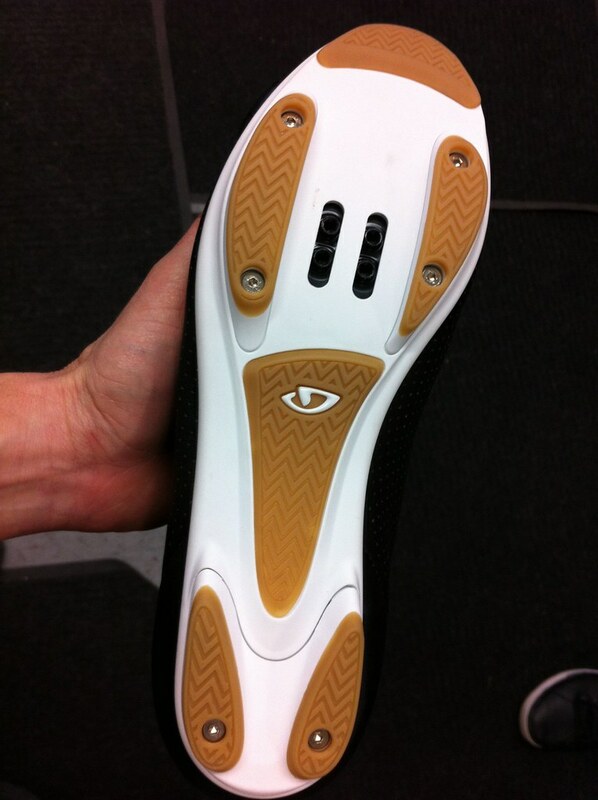 That way you can replace them when you wear them out, and rumour has it that Giro has tentative plans to sell the lugs as accessories in a variety of colours, so that consumers can customize the shoe. 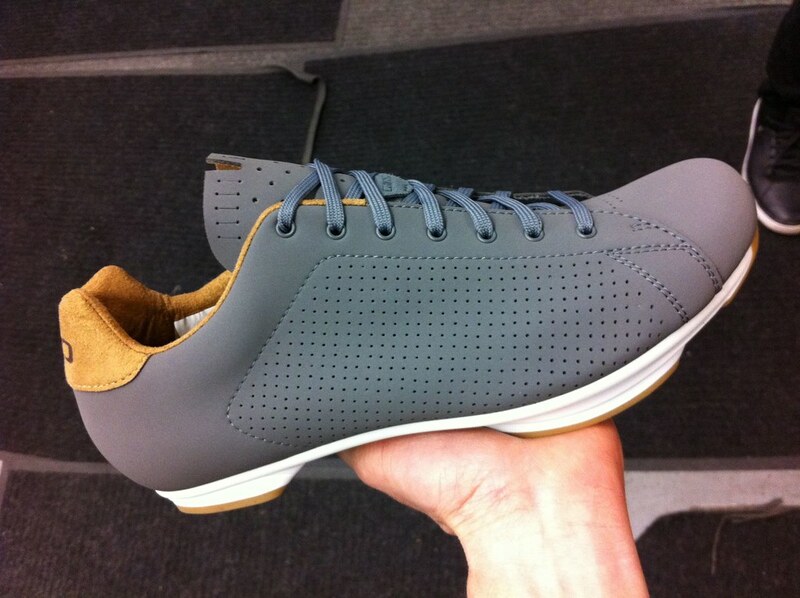 Giro is introducing the new kicks in 3 muted colours in the beginning, gray, black, and white. Retail is US$150.